My first attempts at Westerns. 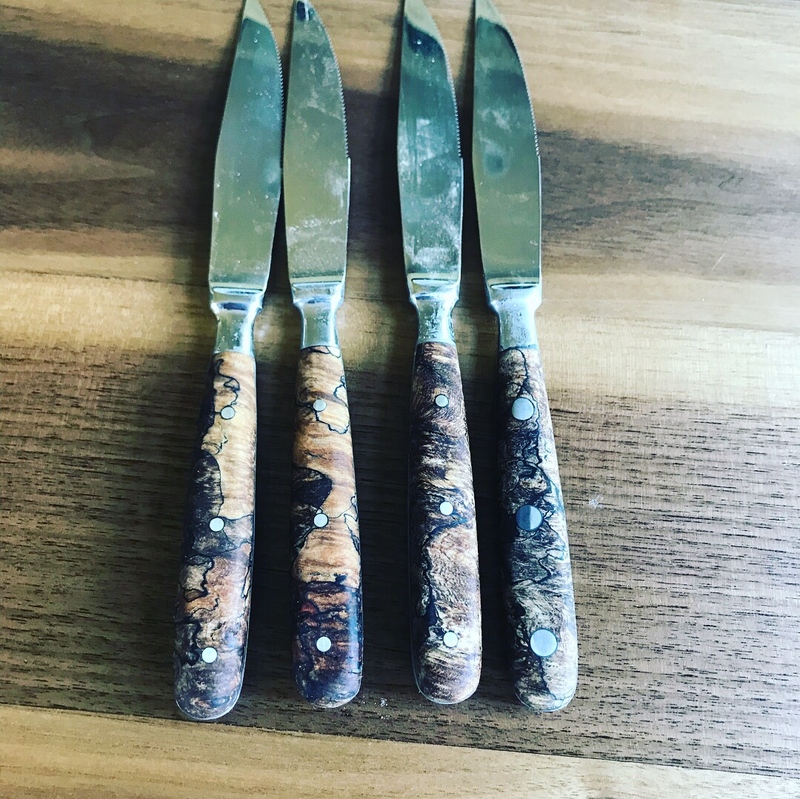 Are these table knives for sale? These are sold, as is the next set of four that are up next. Email me, Bensbites @ gmail. Let’s see about getting you into the queue. Ben you've really been doing some great work lately! You just keep upping your game Ben. I better get a handle or two from you soon before I can't afford your work! Moritaka Honesuki, African Blackwood ferrule/endcap, Maple spacers, and a walnut body. This is my favorite combination for a KU blade. Kanehiro nakiri with new shoes, or a whole new outfit. The handle is made from desert ironwood burl/ebony/mahogany, what a way to dress up a quality blade. 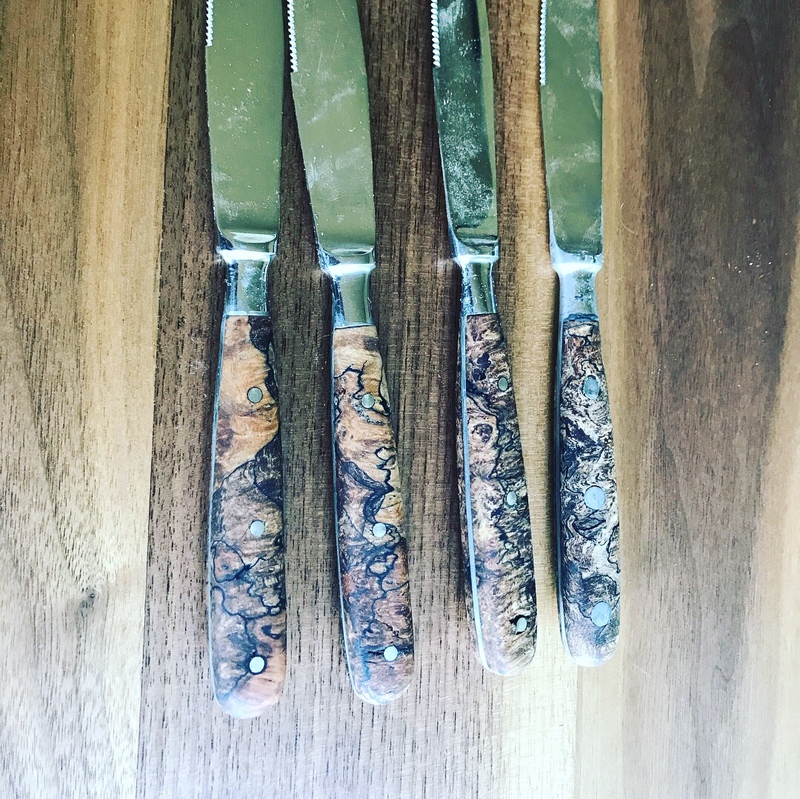 I know those knives. I use both of them weekly! These are some great handles, Ben was great to work with too. Highly recommended!! This was interesting and quite successful. I had one of my prototype one piece handles made from two tone rosewood that I really liked. Empty handle with a custom bunka from @willisonknives. Lastly I played with beeswax installs, not my typical, but super easy. I also played with thinning and polishing the blade. What do you think? 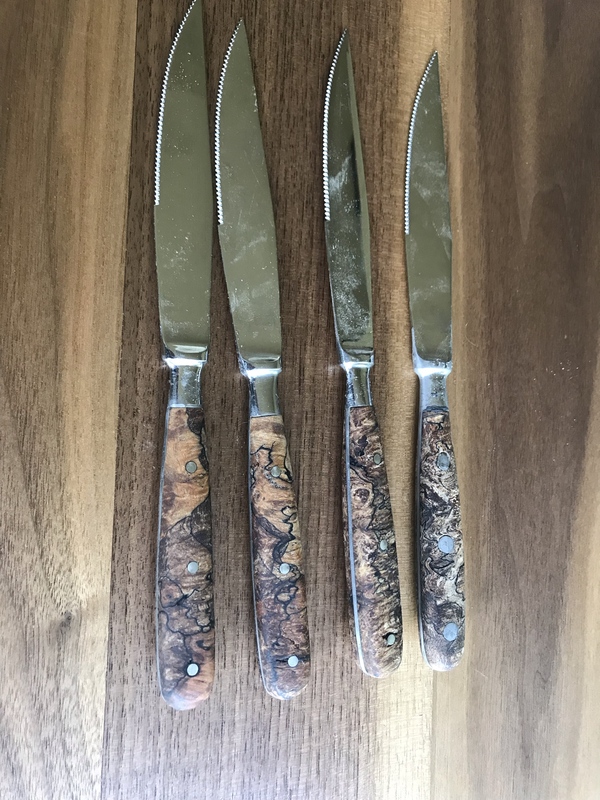 Steak knives and a prototype handle have landed in a forum members hands. Moritaka AS Kiritsuke 270mm. Dyed poplar burl body with curly maple spacers and purpleheart ferrule and endcap. Wow stunning! Stabilized spalted maple burl ferrule with a figured Mango body. Note: this handle was purchased to be installed by the purchaser on a blade he already owned. He did a great job. Konosuke GS with olivewood burl with Black palm. The all mighty KS now has old growth redwood and buckeye burl to match its majestic reputation.